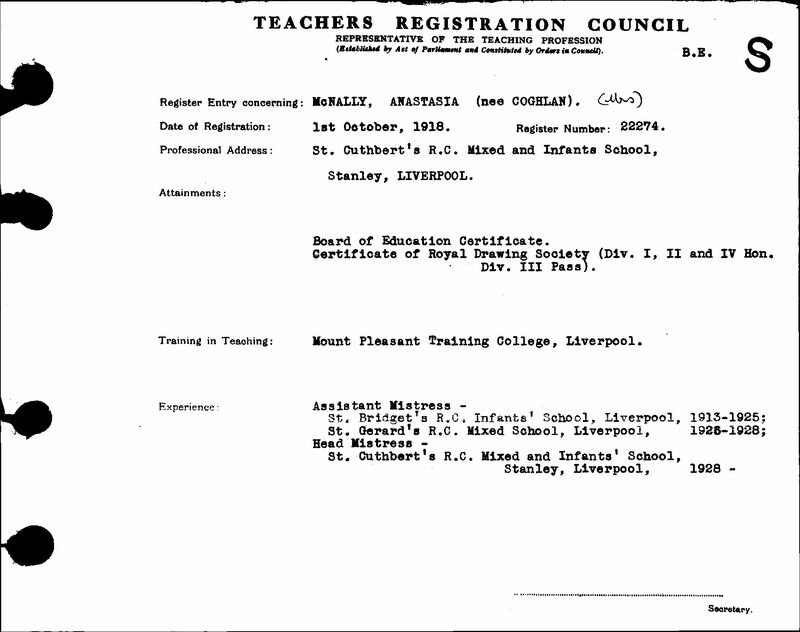 .Anastasia (Cis) COGHLAN was born in Kirkdale, Liverpool on 18th September 1891. She trained at Mount Pleasant, Notre Dame College. She married Gerard McNALLY in 1924. I had always thought Gerard died about a year later, leaving Cis a childless widow. The only possible registration I can find is for 1929. She did, however, have her career. Her first post was at St Bridget’s in Limekiln Lane. 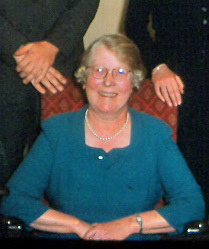 After her marriage, she went on to teach at St Gerrard’s in Everton. From 1928, Cis McNALLY was head of St Cuthbert’s, linked to St Oswald’s at Old Swan. Her brother Nicholas COGHLAN was Parish Priest there at one time. Cis lived in Childwall Rd, Wavertree for many many years, next door to her brother Joe COGHLAN and his family, and next door but one to my family. She was our babysitter for many years. I remember having two books she lent me - a life of St Julie of Picardy, and ‘The Village School’ by Miss Reid. She said that she never wanted to read another book after she read college and as far as I know, these were the only ones she owned! She read the newspaper though. She died in 1978.